Species such as the Lesser Noctule and the Common Noctule, as well as Daubenton’s, Nathusius’s Pipistrelle and Bechstein’s Bat, are typical representatives of Bats that live in woods and forests. 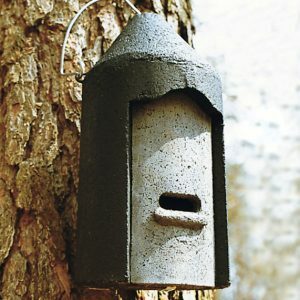 They prefer Bat Boxes as closed systems, as in nature they prefer, for example, woodpecker cavities and hollow tree branches. However, as old, diseased or dead trees tend not to be available or rather are removed from managed forests, natural roosts for Bats have become scarce. 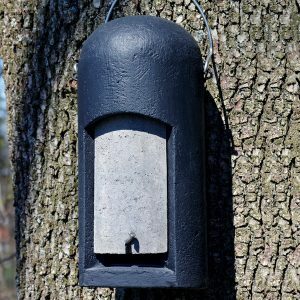 Bat Boxes can provide a remedy and are readily accepted by the animals. 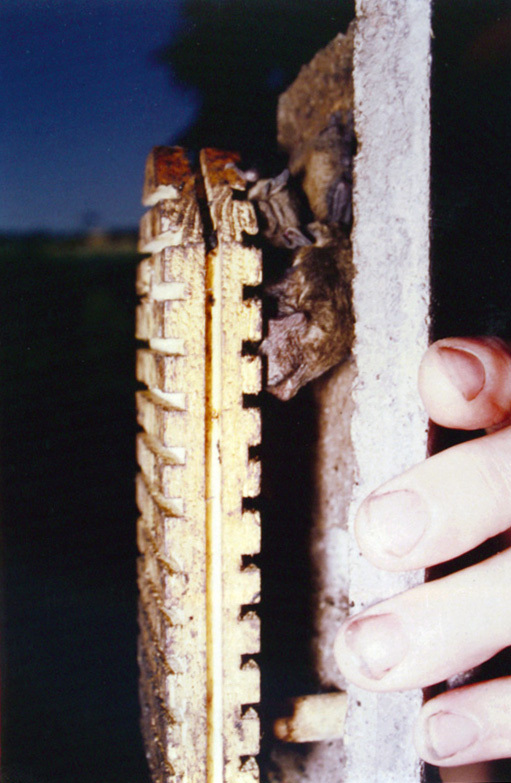 So-called “House Bats” are mainly those that like to roost in buildings, for example, in roller shutter boxes, behind window shutters, niches and gaps. These are, above all, Serotine, Mouse-Eared and Pipistrelle Bats. These Bats prefer, for example, flat boxes or round boxes with several hanging panel partitions. 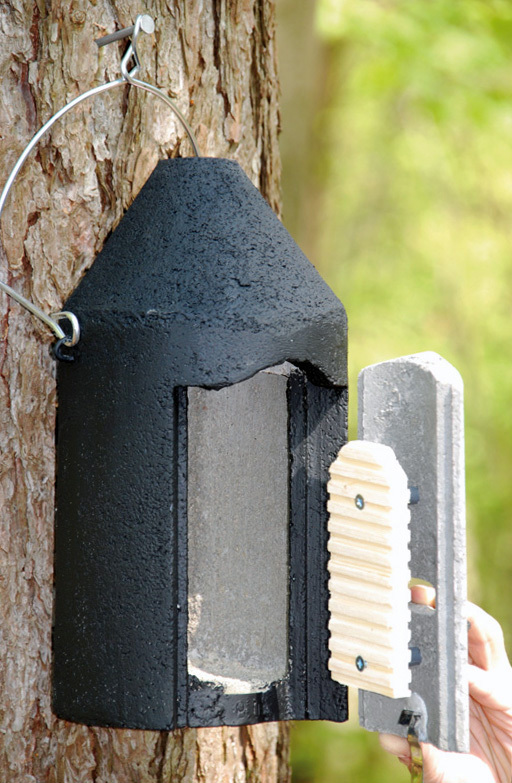 The dimensions are the same as the above-named general purpose Bat Box 2F. 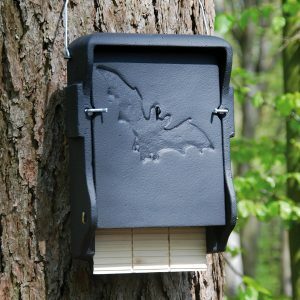 This box has a special double front panel, made of long-term resistant, grooved wooden boards, which creates a particularly popular and readily acceptable roost for crevice-inhabiting Bats, for example Nathusius’ Pipistrelle, Daubenton’s and Pipistrelle Bats. 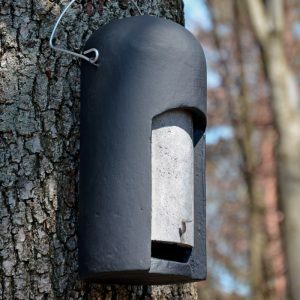 As with the 2F general purpose model, the Bat Box can be easily converted into a 2F Bat Box without double front panel or a 2M Nest Box for Birds at any time. The front panel can be removed for inspection and cleaning. 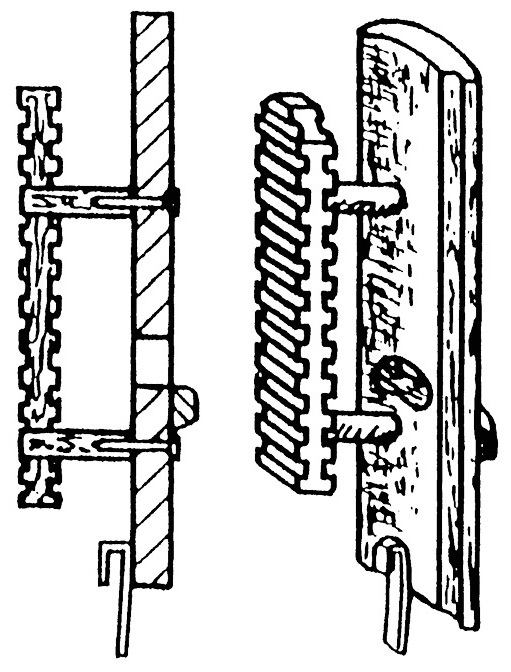 External Dimensions: ∅ 16 cm. 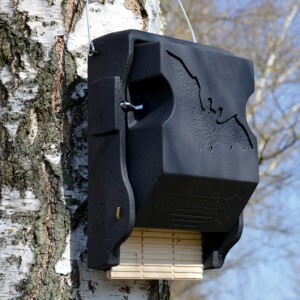 Includes: Nest box, hanger and aluminium nail.